Start by hard-boiling the eggs. 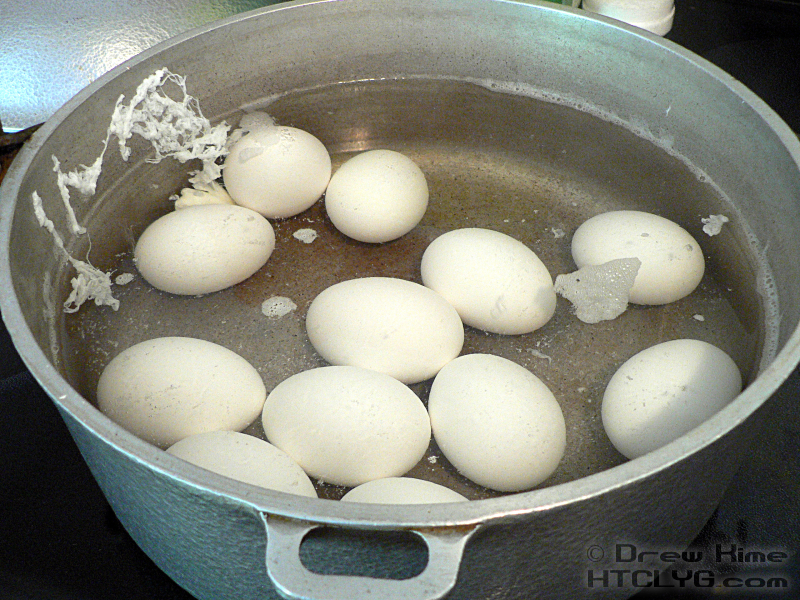 Put the eggs in a pot that’s large enough for all of them to be in a single layer with some room to spare. 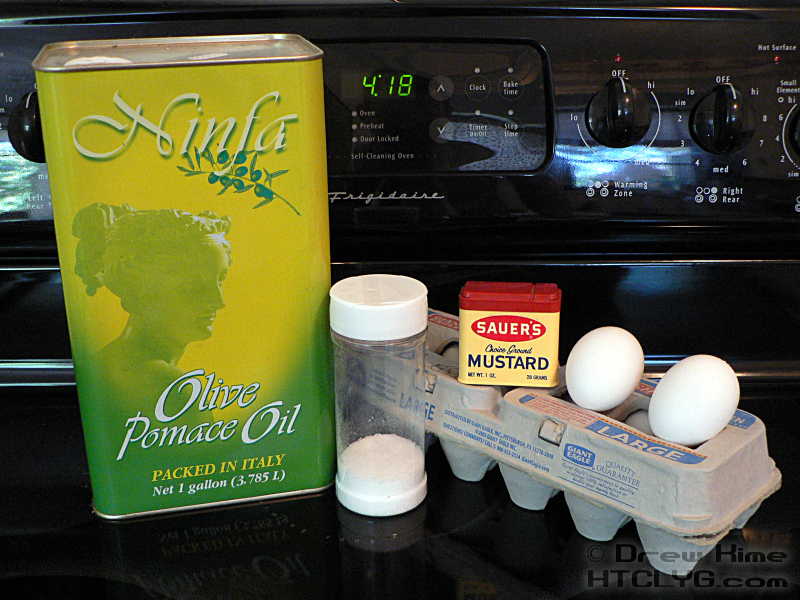 Add a couple of tablespoons of salt. 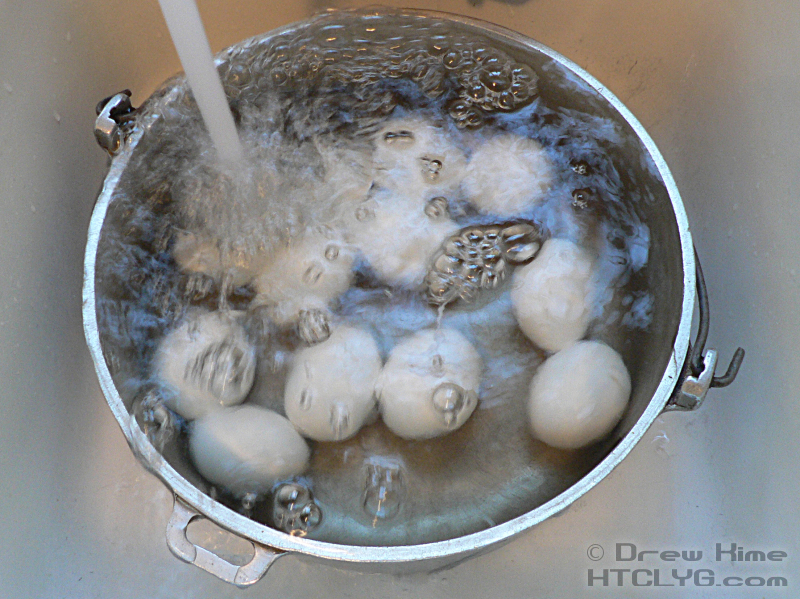 Don’t bother measuring, it’s just to raise the boiling temperature of the water a little bit. Fill the pot with cold water so the eggs are covered by at least a half-inch. Turn the heat on high until the water boils. 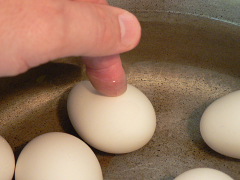 If any of the eggs are cracked, you’ll end up with a little egg drop soup. Don’t worry about it, you can clean it out when you’re done. 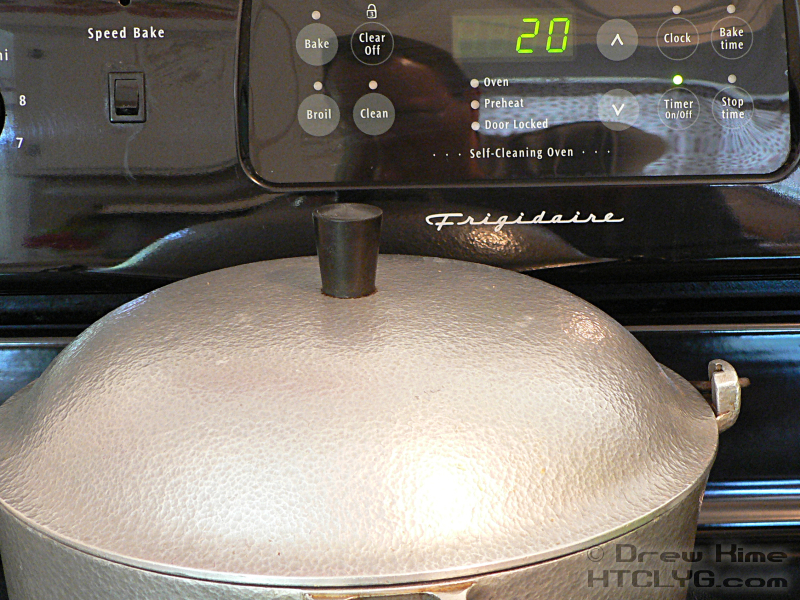 After the water boils remove the pot from the heat, put a lid on, and set a timer for 20 minutes. After the 20 minutes, rinse the eggs in cold water until they’re cool enough to handle. Peel all the eggs, and rinse them with cold water to make sure there are no pieces of shell left on them. 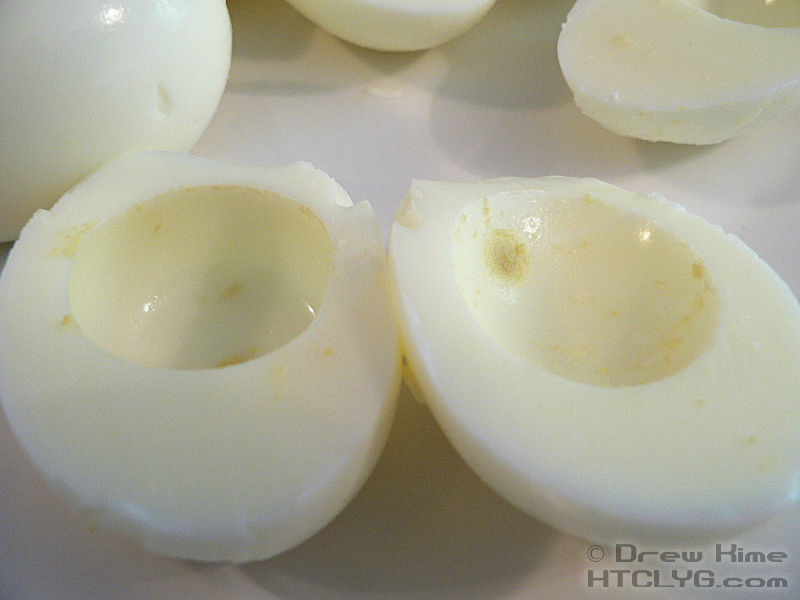 I’ve never done a dozen eggs without a least one or two falling apart a little bit when I peel them. That’s why I always cook a couple more than I think I’m going to need. Worst case is I have some extras. Slice each egg lengthwise. 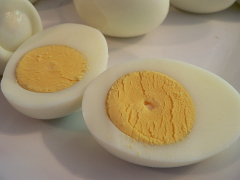 The one on the left is what you want them to look like. 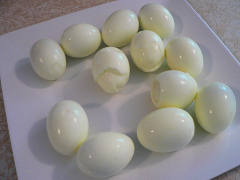 The one on the right is the one that was cracked. 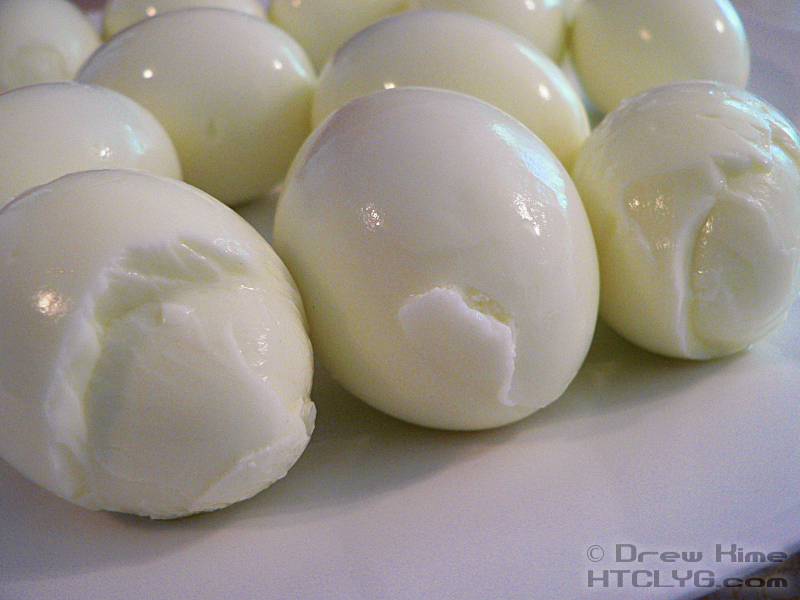 Some of the white leaked out in the water, but it’s still perfectly edible. Pop the yolks out. 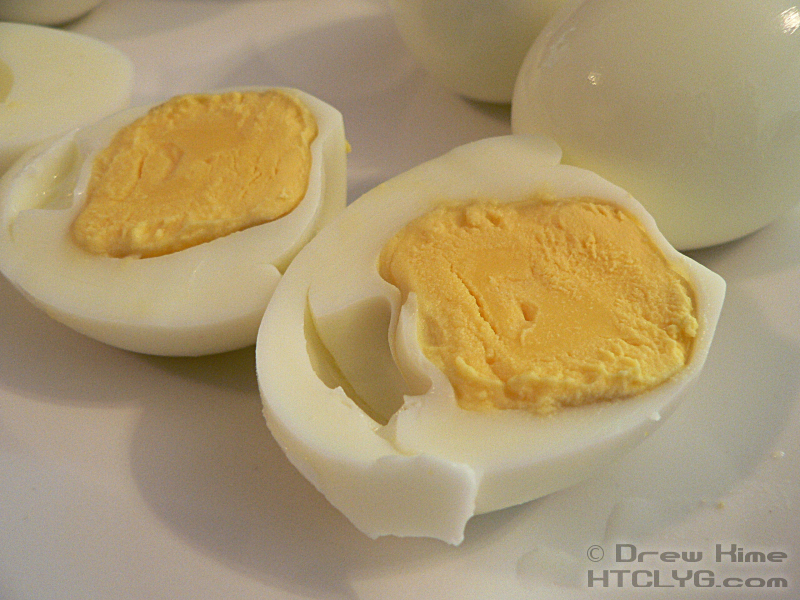 This one had the yolk a little bit off center, so the cavity in one side is really shallow. If you can see that the yolk is close to one side, slice through that side. That way both halves will have the same amount of space. Separate the “pretty” halves from the “rejects”. Don’t worry, we’ll use them later. 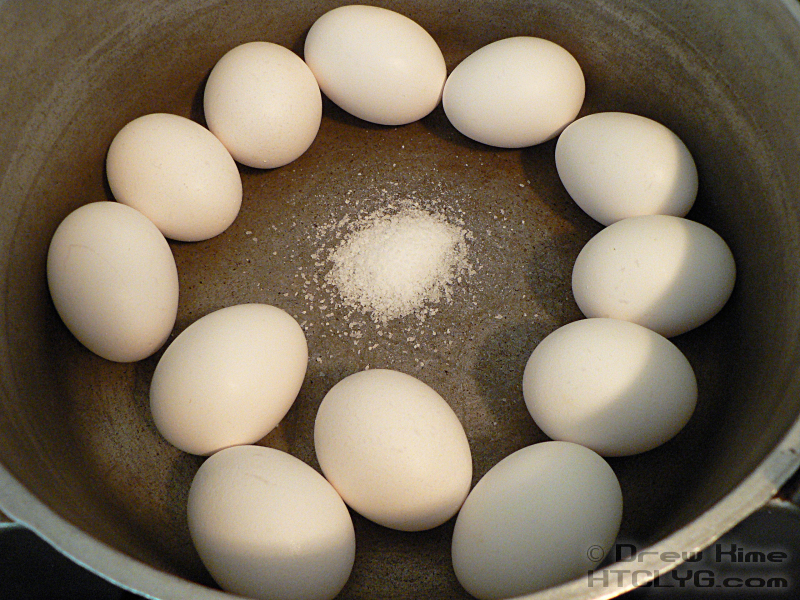 Keep all the yolks in a separate bowl. 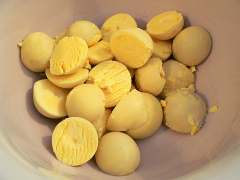 Put the egg yolks and vinegar in the narrowest cup your stick blender will fit in. 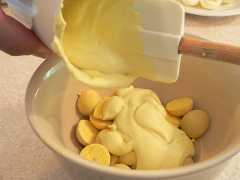 Blend for a couple of seconds until they form an emulsion. Add the salt and mustard powder and half the oil. 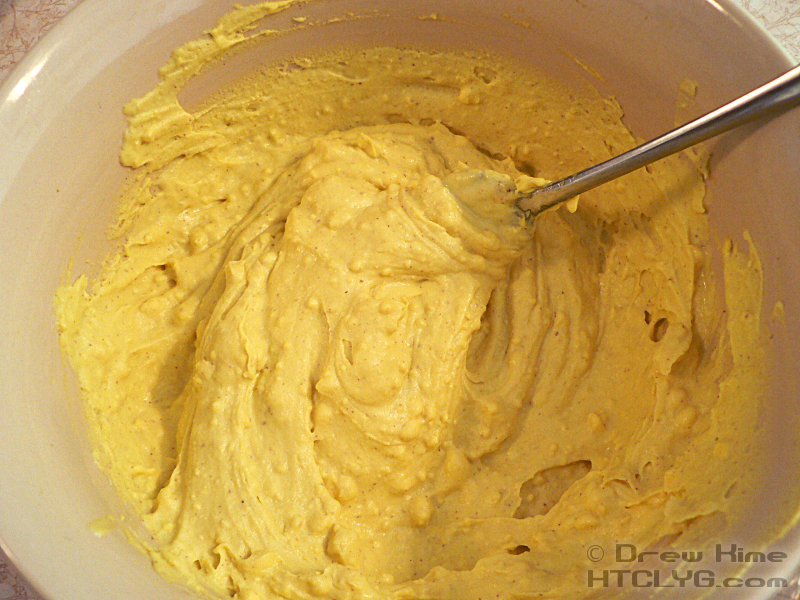 Blend again until it is thick. Pour the rest of the oil in slowly, mixing constantly. Add a cup of the mayonnaise to the yolks and start breaking them up with a fork. 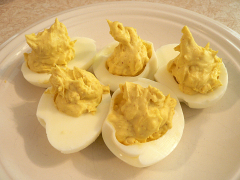 If you made your own mayo with the mustard powder, or if you like your deviled eggs mild, that’s it for the ingredients. I like a little zing, so I add two or three tablespoons of my secret ingredient. I hope you can’t guess from this picture what it is. Keep mixing the yolks and mayo until smooth and creamy. 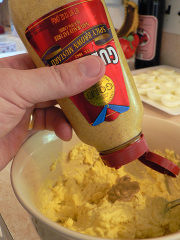 Add more mayo if you need it to get the right consistency. Don’t forget to fill the rejects. Deviled eggs don’t all make it out of the kitchen anyway, you might as well eat the ones that you can’t serve to guests. 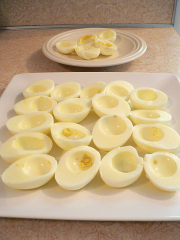 Arrange the filled eggs and refrigerate until you’re ready to serve them. Okay, that’s not it. 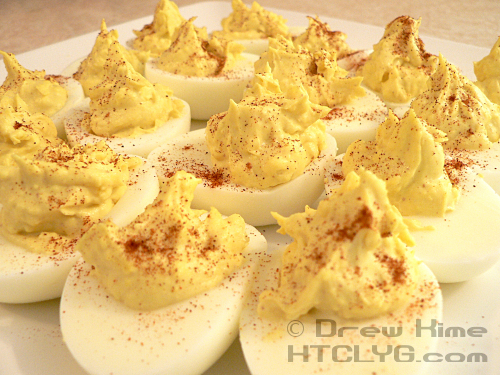 Some people think you have to add the paprika. You can’t really taste it, but it looks kind of nice I suppose. 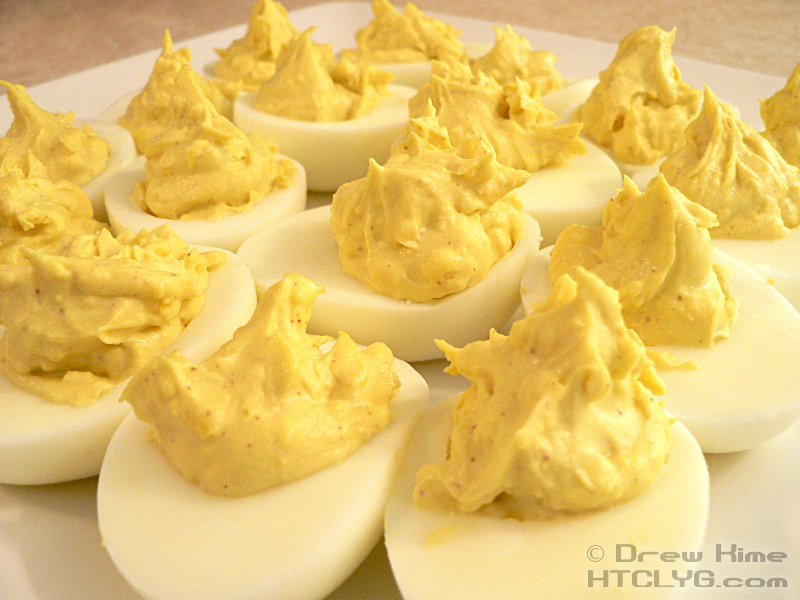 So do you spell it “deviled egg” with one “l” or “devilled egg” with two? My spellchecker says it’s one “l” but according to Google it’s more common with two. Deviled eggs get no respect. But you never see any leftovers at a party. 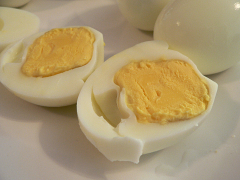 Cut them in half lengthwise and scoop the yolks out into a bowl. 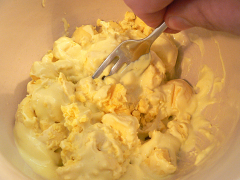 Add the mayonnaise and mustard to the yolks and mash with a fork until smooth. 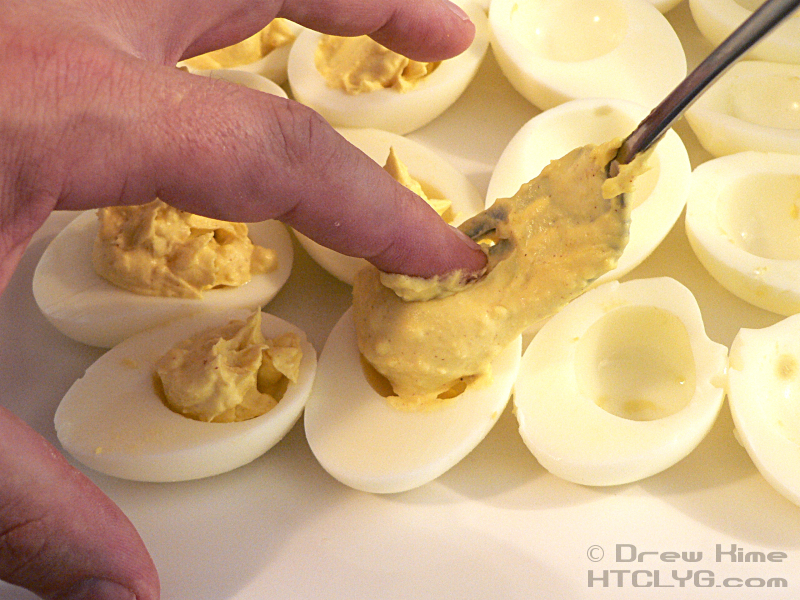 Divide the yolk mixture evenly into the egg whites. Dust with paprika or pink salt. Stay tuned to see who else is getting a copy. If you want one, send me a suggestion at drew@cooklikeyourgrandmother.com. If I make it I’ll send you a copy of the book.